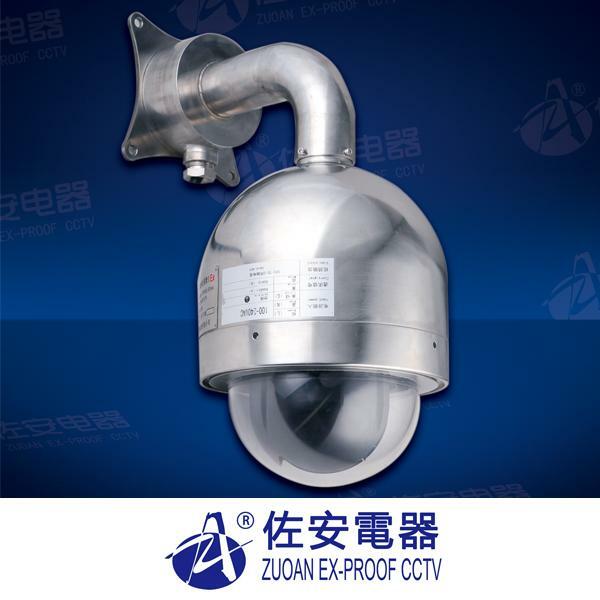 ZAT630, it is featured as2.2MP 20X high speed stainless steel explosion-protected explosion prood dome camera. 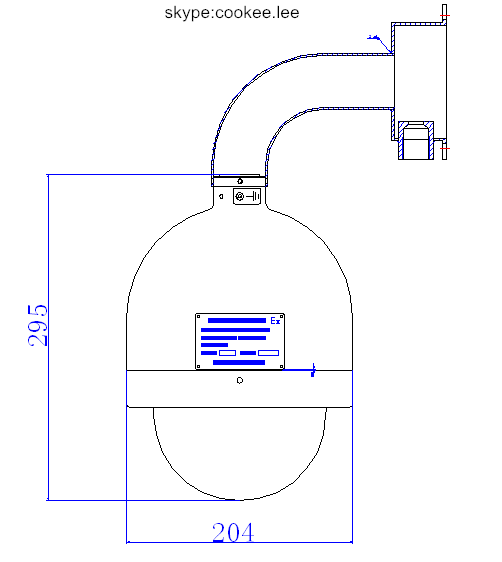 Its explosion proof dome camera housing can fit for 5inch, 6inch high speed camera, . It is fit for the outside and inside.ZAT630 explosion proof dome camera has the features of high speed location and preset accuracy. 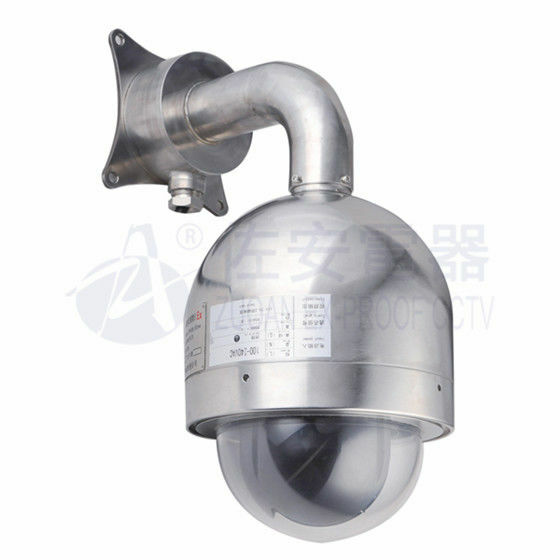 And double stainless steel shell ensures this device to work regularly even temperature reaches to 60 degree centigrade.the explosion proof housing is a ready-to-use kit, for all brand cctv camera, like SAMSUNG CCTV camera, Hikvision cctv camera, Dahua cctv camera, Geovision cctv camera. With stringent certifications, explosion-proof CCTV housed cameras enable safe, effective surveillance for chemical sites, oil and gas facilities, food processing plants and numerous other hazardous environments. such as Chemical factory, petrochemical processing plant, pharmaceutical plant, Oil refinery plant, Gas station,Oil tank truck, Natural gas project, Marine, offshore/ onshore oil drilling platform, coal mine, Grain storage, winery storage, fertilizer storage ect.